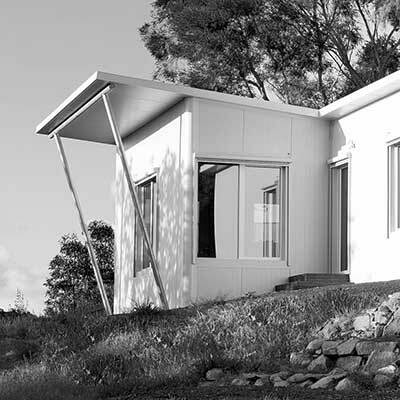 It’s fascinating to read a little of the early history of modular homes in Australia. First, a definition. The term “modular” is related to the term “prefabricated”, or “prefab”. “Modular buildings and modular homes are prefabricated buildings or houses that consist of repeated sections called modules. “Modular” is a construction method that involves constructing sections away from the building site, then delivering them to the intended site. Installation of the prefabricated sections is completed on site. Prefabricated sections are sometimes placed using a crane. The modules can be placed side-by-side, end-to-end, or stacked, allowing a variety of configurations and styles. First Kit Homes in Australia? The first Kit Homes in Australia came from the United Kingdom in the 1850s. Metal clad the walls and roof. A favourite material in Australia, in fact, known as corrugated iron. Not very thermally efficient. But so durable that some of them are still standing in South Melbourne today. I’ve heard it said anecdotally that Melbourne has more modular building companies than the rest of Australia. This is probably true. I don’t know why this has occurred, and it will be interesting to study the phenomenon over time. Certainly, modular homes in Australia are not the exclusive domain of small, bespoke companies. Very large construction companies use modular construction all the time. What are its benefits? You can build modular homes off-site, which means out of the weather. This can drastically improve the efficiency of the building process. It also means that all stock and trades are going to the same place for much of the construction process. Not necessarily. However, it depends on what you are building and what your whole costs are. For example, if you have holding costs for your land, or if you are having to pay to live off site yourself, the speed of modular construction can actually save you money. It will be interesting to see how much modular construction develops in Australia in the coming years. For us at Superpod®, modular homes are just part of the picture. While we do use prefabricated elements, we also have the option of building off-site or on-site with our Certified Passive House building system. There will always be that element of choice for the customer. So while in some cases Modular Homes in Australia will be the answer, in other cases, they are not so important.